Credit union representatives have asked for a proportional approach to regulation during a meeting with the Basel Committee on Banking Supervision. The committee is the primary global standard setter for the prudential regulation of banks and provides a forum for regular co-operation on banking supervisory matters. Its 45 members are central banks and bank supervisors from 28 jurisdictions. Leaders from credit union sectors in the USA, Canada, Australia and the World Council of Credit Unions (Woccu) voiced their support for proportionality in the meeting, held at the end of last month with Basel Committee deputy secretary general Neil Esho. They argued that credit unions should not face expensive compliance standards that were written for multi-national banks. Proportionality allows national and regional financial regulators to prescribe compliance standards for credit unions that are less burdensome than those required by Basel III and other international financial regulatory standards. Woccu senior vice-president and general counsel Michael Edwards said: “We support the committee’s efforts to ensure the largest banks meet the capital and liquidity standards put in place by Basel III and other Basel Committee standards. Also attending the meeting were Canadian Credit Union Association (CCUA) president & CEO Martha Durdin, Customer Owned Banking Association (Coba) president and CEO Mike Lawrence and Credit Union National Association (Cuna) chief advocacy officer Ryan Donovan. All three organisations are members of Woccu. In a follow up letter sent on 3 April, Woccu urged the committee to issue a set of high-level principles or weighing-factors national- or regional-level regulators can consider. Even though the Basel III framework is intended only for internationally active banks, Woccu said it continues to be applied to purely domestic credit unions by many policymakers. Now Woccu wants the committee to welcome public consultation on the issue from a range of smaller banking institutions, such as credit unions, joint-stock community banks, savings banks, building societies and other co-operatives. 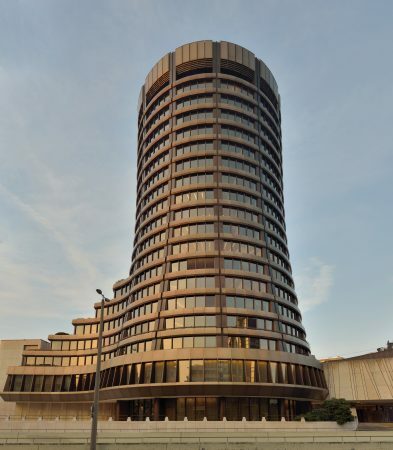 On 19 March 2019 the Basel Committee published the results of a survey it conducted on proportionality practices in bank regulation and supervision. The survey revealed that the majority of respondents applied some form of proportionality related to capital and liquidity requirements. These take the form of a modified or simpler version of existing Basel standards, particularly for the more complex risk categories, or an exemption from such requirements for certain banks. Should You Join A Credit Union?